St. Joseph, Missouri; c.1897? Permission of W. Richard Nelson, Jr.; all rights reserved. St. Joseph, Missouri; 1897 From the Fiegenbaum-Gerber family; all rights reserved. 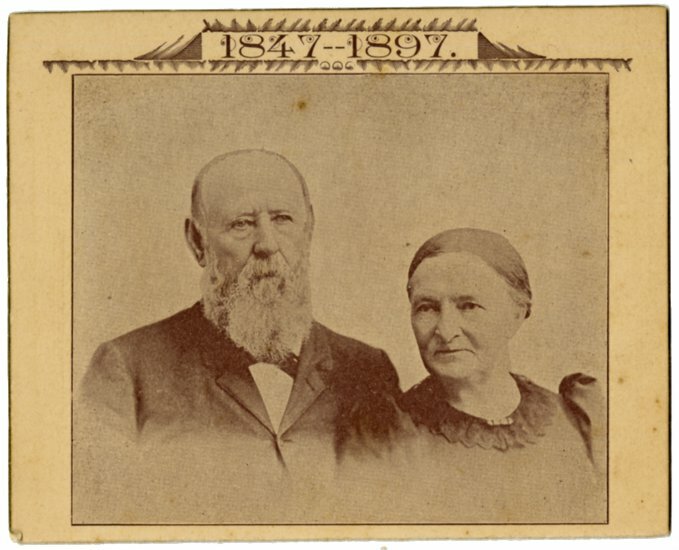 This appears to be a card commemorating Henry and Clara's 50th wedding anniversary. 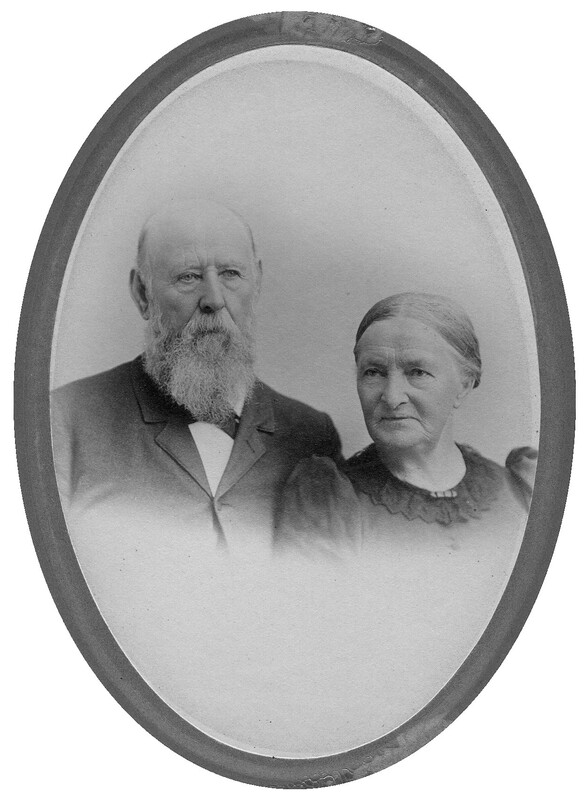 They were married on 11 April 1847 at St. Louis, Missouri and celebrated their golden anniversary at their home at St. Joseph, Buchanan County, Missouri in 1897.